Michaels sells a variety of arts and crafts products, including scrapbooking, beading, knitting, rubber stamping, home decor items, floral items, kids’ crafts, paints, framing, greenery, baking and many seasonal items. 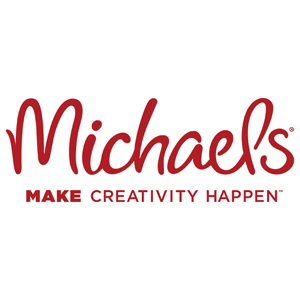 Michaels produces 10 exclusive private brands sold throughout its stores including Recollections, Studio Decor, Bead Landing, Creatology, Ashland, Celebrate It, Art Minds, Artist’s Loft, Craft Smart and Loops & Threads. The baking line features more than 70 products including fondant, sprinkle sets, color spray, cake tattoos and color paste.